Mary Barra has established an exemplary career in the auto industry. She is recognized internationally in the business community for her vision, business acumen, engineering skills, leadership and passion for automobiles, as well as her strong support for science, technology, engineering and mathematics education. For several thousand students, parents and friends gathering for spring commencement in Ann Arbor, the following is an overview of graduation weekend. 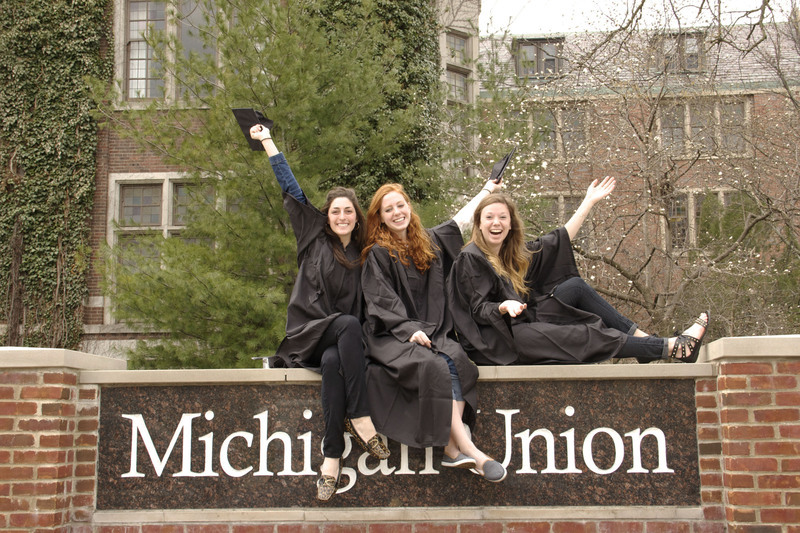 For all the details, visit U-M’s official commencement resource site. For those who can’t attend the ceremony, spring commencement will be streamed live through the U-M website, and on the digital screens located in the Michigan Union, Michigan League, Pierpont Commons and Palmer Commons. The official university hash tag is #MGoGrad for sharing stories or images about commencement on Twitter and Instagram. Visit the Ann Arbor Area Convention and Visitors Bureau website to find out about local hotels and restaurants. University Unions is offering options to help “cap off” your special day! Commencement Brunch at the Michigan Union featuring an abundant offering of elegant entrees, salads, breakfast items, desserts and more. The buffet brunch will take place on Saturday, May 3, immediately following the ceremony. Michigan Memories Reception, a walk through the pictorial display in the Michigan Union art lounge, featuring noteworthy headlines from the Michigan Daily during the graduates’ years at U-M. Light refreshments will be provided. ​Host Your Own Celebration on Campus with a reception, lunch, or dinner at one of the three distinctive unions at the University of Michigan. In addition, University Unions is offering complimentary banquet rooms May 3-5, with a minimum purchase of ten full service meals. If you prefer another campus location, University Catering can deliver direct to your door. For more information call (734) 764-8837 or go to http://catering.umich.edu. Looking for that perfect backdrop for your family or friend commencement photo? Several popular spots include in front of the Michigan Union, by the Thomas Cooley fountain next to the Michigan League, at the Law Quad, in the diag, in front of Angell Hall and near Lurie tower or the reflecting pool on North Campus.